The theme of the upcoming World Dairy Summit is “Dare to Dairy,” a message encouraging stakeholders in the global dairy sector to engage in a productive dialogue to find innovative solutions to the evolving challenges facing our industry. Primarily questions involving the mounting consumer demand for humanely raised beef and dairy products – and the opportunity for producers to fulfill it. For 138 years, American Humane, the first national humane organization in the United States, has worked closely with farmers, ranchers, and animal welfare advocates to develop and implement more humane standards in food production. Research shows consumers overwhelmingly support these efforts: more than nine out of ten respondents (95%) in our latest Humane Heartland Farm Animal Survey expressed that they were “very concerned” about farm animal welfare. Over three-quarters (76%) of survey participants were also very willing to pay more for humanely produced eggs and dairy products, and humanely raised meat. And in rankings of the importance of food labels, “humanely raised” scored highest. Interestingly, however, more than half of respondents (55%) reported that products branded humanely raised were either not available (36%) or too expensive (19%). The current challenge is figuring out how stakeholders can satisfy this growing demand for humane food products in an affordable, efficient and defensible way. That’s why American Humane established our American Humane Certified program, the first-ever U.S. farm animal welfare certification effort, which now covers more than a billion animals. Science-based policy is at the center of the American Humane Certified program, which enforces common sense and attainable, albeit rigorous, welfare standards to ensure and verify humane practices. This criterion – determined by an independent scientific advisory committee comprised of leading experts in the fields of agriculture, species-specific animal behavior, and ethics – is centered around the internally accepted Five Freedoms of animal welfare, ensuring that certified animals have appropriate space, lighting, air quality, food and water. These Five Freedoms are globally recognized as the gold standard in animal welfare, encompassing both the mental and physical well-being of animals; they include: freedom from hunger and thirst; freedom from discomfort; freedom from pain, injury, and disease; freedom to express normal and natural behavior (e.g. accommodating for a chicken’s instinct to roost); and freedom from fear and distress. Unlike other welfare accreditation efforts, which only tend to cover few animals and a limited number of farm practices, American Humane Certified verifies a spectrum of humane choices. This comprehensive approach ensures that humane food production is more affordable for producers and consumers alike, while also maximizing the number of protected, certified farm animals. Our emphasis on evidence-based measures – verified through independent, third-party auditing – also provides additional assurance to increasingly skeptical consumers. A 2015 Gallup poll found that only 9 percent of Americans trust corporations a “great deal,” while a mere 12 percent trust Big Business “quite a lot.” Millennials in particular have a high distrust of institutions from Wall Street to the media to the government, according to Harvard’s Institute of Politics. Third-party certification is the best way for dairy companies to earn and maintain that trust. According to a 2011 survey from the Food and Drug Administration and other government agencies, consumers have a “high positive attitude” toward certified food products. The national survey also found that a majority of Americans believe they are safer than their non-certified counterparts. 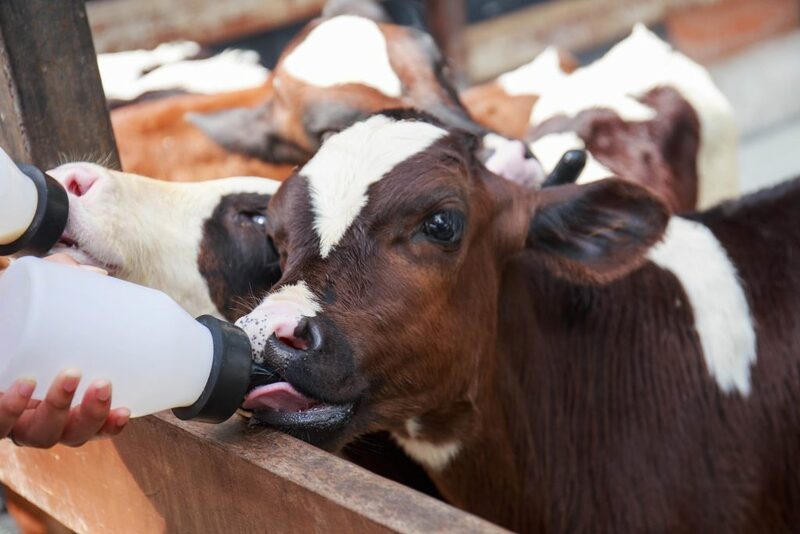 As the industry continues to embrace humane food production, positive collaboration and third-party welfare certification will ensure that the enlightened stakeholders who “Dare to Dairy” in a humane way will be recognized and rewarded for their ethics-driven commitment.